Registration is closed. Walk-in registration available at the activity on Saturday. Celebrate the first 30 years of Geriatric Medicine at the Gateway Geriatric Education Center and see what the future holds. 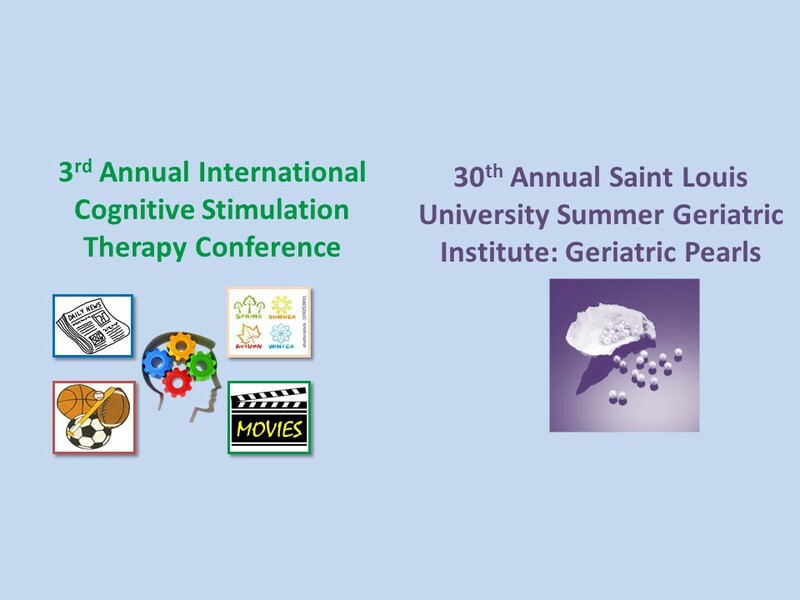 The first two days will introduce and reinforce the non-pharmacological treatment option for persons with dementia, Cognitive Stimulation Therapy (CST). We return to the standard Summer Geriatric Institute on the third and fourth day. Discounts are available for attending all four sessions. The Symposium for Medieval and Renaissance Studies offers ample opportunities for publishers and booksellers to promote their products to an erudite audience of hundreds of scholars from all around the world, not only face to face at the Book Fair and receptions during the conference, but also within the official Program, the official mobile app, and Registration Packets. The Symposium for Medieval and Renaissance Studies provides a convenient summer venue in North America for scholars in all disciplines to present papers, organize sessions, participate in roundtables, and engage in interdisciplinary discussion. Offered twice each year, SLU's Monday-Thursday Medicolegal Death Investiagtors Training Course teaches individuals how to conduct scientific, systematic and through death scene and telephone investigations for medical examiner and coroner office, as well as law enforcement, forensic nurses, and others in the field of death investigation. With the addition of the Child Death Scene Workshop and the Blood Spatter workshop the course has become even more interactive and reviews from the past participants value the time spent in these new sections of the schedule.